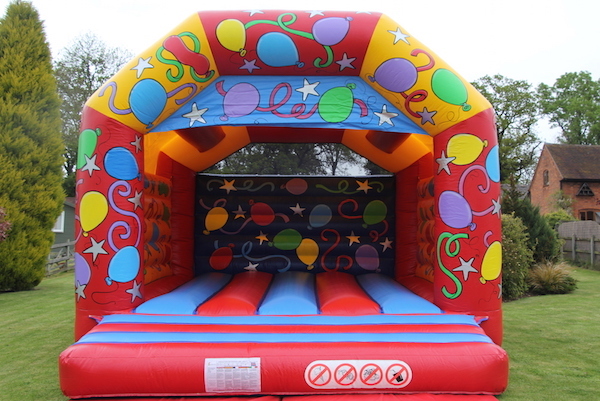 A great time is had by all with this big bouncy castle, an ideal choice for birthday parties, weddings, corporate events and fetes. 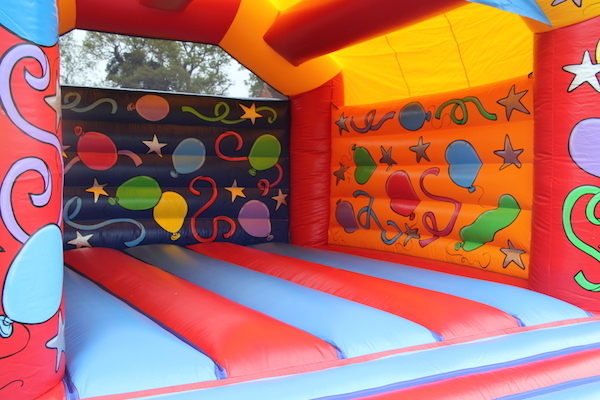 This castle is suitable for children, teens, and adults alike. 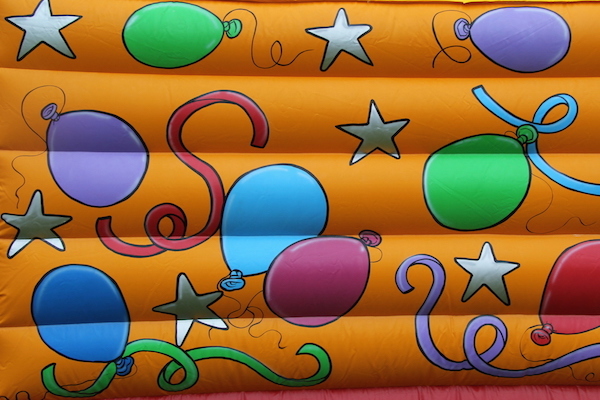 Beautifully hand painted artwork will ensure this large Celebrations bouncy castle will be the centre piece at your event. Celebrations Bouncer is available to hire throughout Evesham, Worcestershire, Herefordshire, Gloucestershire, Warwickshire and The Midlands and suitable for indoor and outdoor parties (subject to the ceiling height of the venue) Wondering which venue to book ? Do give us a call for advice we know them all. Free use of Plasma Cars for all indoor parties. 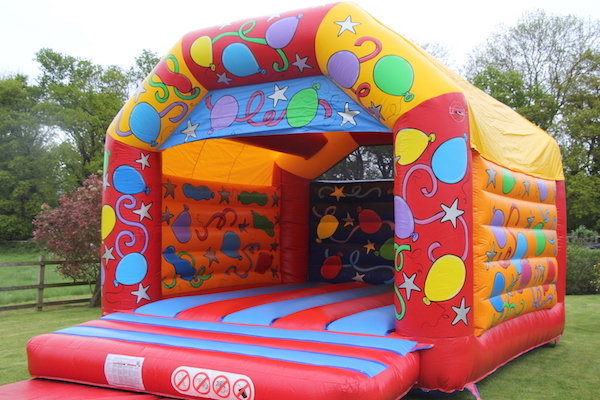 We have a wide range of equipment to compliment this bouncer including garden games, music systems, adult ball pools making the perfect party!